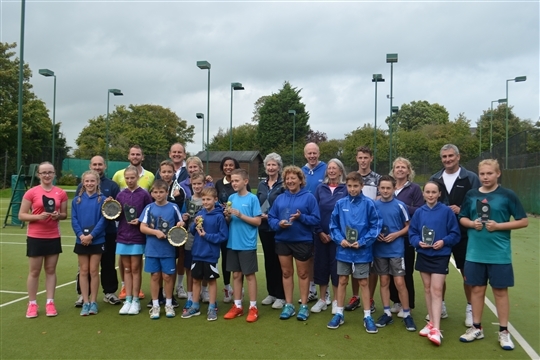 Despite some inclement weather on Sunday 9th September a strong following of supporters came out to cheer on the finalists in this year's annual tennis tournament. Our own Dami Howard who won a gold for the UK tennis team in this year's Transplant Games in Malaga was on hand to present the trophies to this year’s winners. Jonny Streatfeild-James was also awarded the cup for the Club Sportsman for his help at the club. Harry Culverhouse won the most improved junior award. And finally, many thanks to all the people who turned up to support and to the helpers who made it possible on the day.